MOGADISHU – Food and medical supplies have begun to arrive in Somalia’s northeastern Puntland region, badly hit by a ferocious storm and flooding, the United Nations has said. The UN World Food Program has sent 340 tons of food, enough for 4,000 households for a month, while Puntland’s government has sent 32 trucks of supplies. The local government in the semi-autonomous region has said as many as 300 people were feared to have been killed in the aftermath of the storm, but the UN’s Office for the Coordination of Humanitarian Affairs said in an update released late Monday that 80 were so far confirmed dead. “From 650 medical consultations conducted so far, information gathered confirms 80 reported deaths, mostly of children and the elderly who were most vulnerable to hypothermia and exposure,” UNOCHA said. However, livestock on which the majority of rural population depend has been badly hit. “Thousands of livestock are reported dead as a consequence of icy rain, anecdotal evidence suggests a less than 10 percent survival rate for livestock in the hardest hit areas,” the report added. Infamous pirate hotspots such as the port of Eyl- from where Somali gunmen have launched attacks far out into the Indian Ocean- are some of the worst affected. Coastal destruction caused by a 2004 tsunami was widely seen as being one trigger for a surge in attacks off Somalia, peaking in January 2011 when the pirates held 736 hostages and 32 boats. However, the rate of attacks has tumbled in the past two years, prompted partly by the posting of armed guards on boats and navy patrols. 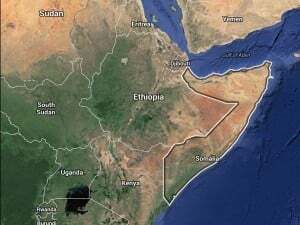 Ethiopia and Djibouti, both neighbors of Somalia, have also sent aid shipments. Impoverished Puntland, which forms the tip of the Horn of Africa, has its own government, although unlike neighbouring Somaliland, it has not declared independence from Somalia.